Contents: From Arithmetic To Algebra; The Making of Algebras; Simultaneous Problems; Partial Solutions, Elements of Complexity; Mathematical Certainty; The First Hebrew Algebra; How to Choose Our Hypotheses; The Limits of the Teacher's Function; The Use of Sewing Cards; The Story of a Working Hypothesis; Macbeth's Mistake; Jacob's Ladder; The Great x of the World; Go Out of My Class-Room; etc. The book showcases how fascinating mathematics can be, by explaining some of the most interesting mathematical ideas to children and the general public. Diagrams, videos, slideshows, problems and interactive games let the content come to life. 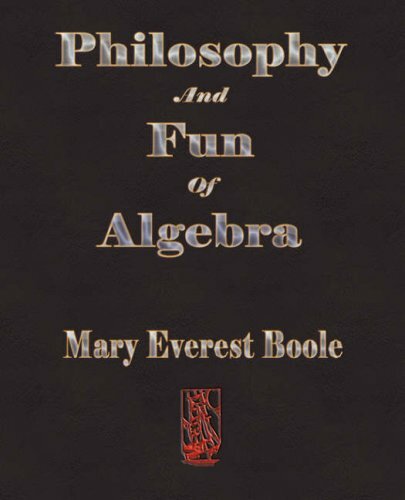 The book starts with a review of basic arithmetic, followed by basic operations, negative numbers, fractions, decimals, percents, and basic probability and statistics. The material is explained conversationally and in plain English. Problem-solving is the cornerstone of school mathematics. The techniques discussed in this book should help you to become a better problem solver and should show you how to help others develop their problem-solving skills. The goal of this work is to try to find the most general solution to many popular puzzles for which we normally heard only the particular problem. These mathematical puzzles often require specialized knowledge in some branch of Mathematics.